Wow! That is whole-lot-a-money for a bunch of resistors and a switch.. Even when made in Japan. So, what is the story about this company? 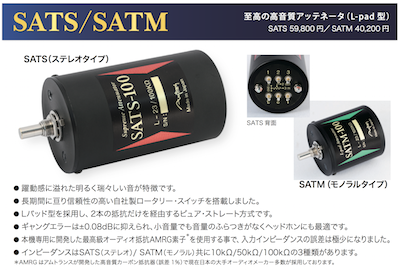 Amtrans is a more or less exclusive brand from Japan. I am a fan of their AMRG resistors with their AllenBradley-like sound, RikenOhm build quality with no colourcoding (love that). Great sound, acceptable tolerance and available in two power ratings. Also their wire rocks, thick gold plated fluorcarbon insulated OFC copper. It is of exceptional quality (and price) and sounds the way I like it. 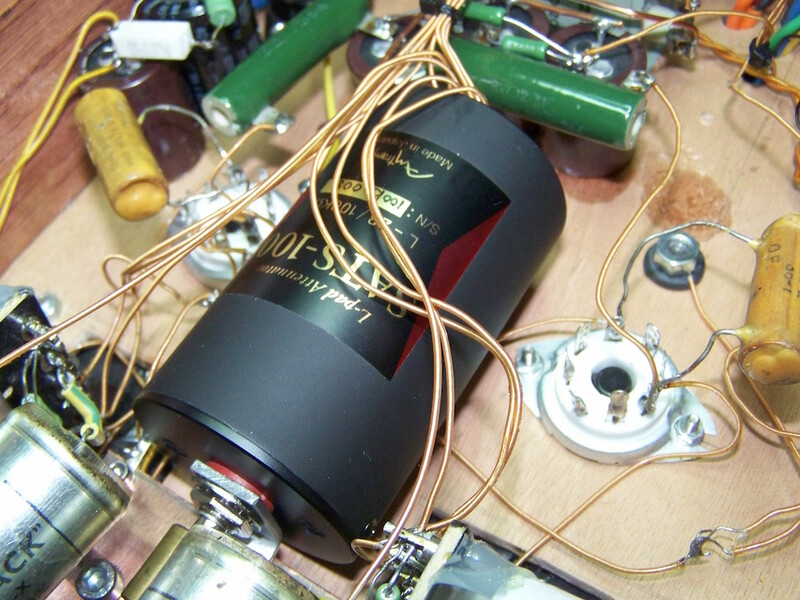 I also love their AMCO coupling capacitors for their value for money. There are some other components that I haven't used (yet), but I am sure they are all good quality as well. So why not try their SATS, looks like a safe bet.. Still it took me some time to make that purchase decision since it is a lot of money. I was aiming for perfecting my pre-amplifier as well, so this would be the first cost-no-object step. Finally I ordered one. First of all, it is big and it is lightweight. Opening it up reveals the switch, wire and resistors. And those resistors are not Amtrans, why not? I was a bit disappointed because I like the AMRG and expected them to be in there (edit 26 oct 2015: It seems that these resistors are ARMG, only a skeleton version). Build quality is very good, it feels sturdy and solid has robust contacts. The black housing, a metal can, acts as a shield which eases placement. 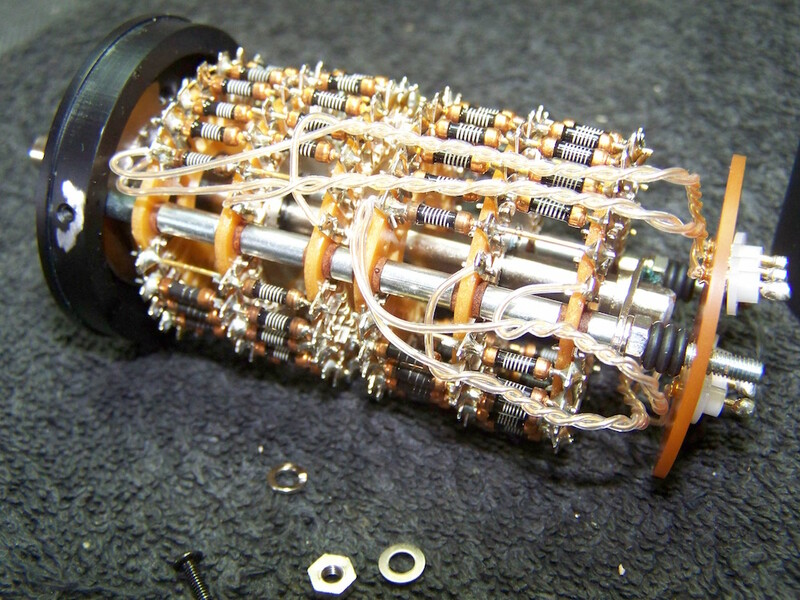 All in all looking good but it still makes me wonder about the price: one 6-deck switch, approx 100 resistors, some wire and a housing for 630 Euro's? How can this be? Okay, buying an Alps RK50 potentiometer will set you back appr 750 Euro's as well. So let's see, or better, hear.. Connections on the back, not mirrored. Housing is made of some sort metal, not magnetic, and slides of from the back. Closer view. Switch and wire are Amtrans, resistors not.. Strange, Amtrans makes high-end resistors themselves, so why are these not used? What brand resistors are these? They must be "good", I guess, otherwise they would haven been using their own? A quick search on the internet revealed similar looking resistors. 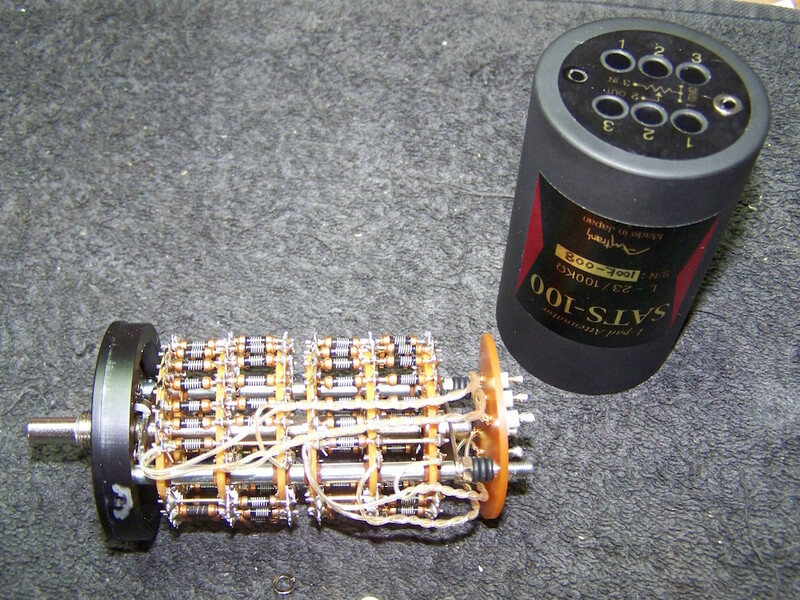 They look identical to Japanese high-end resistors by Skelton. Using these might have something to do with tolerance, material or size? I have no clue. 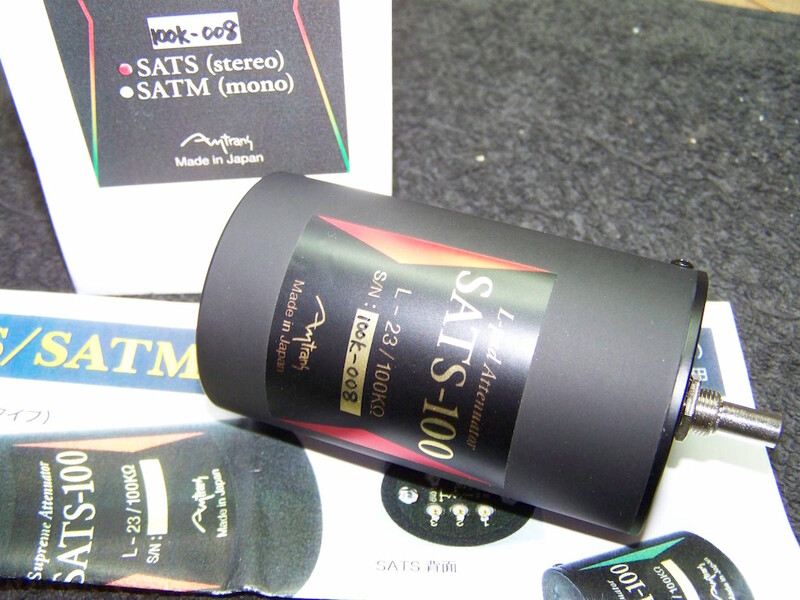 The pre-amplifier was fitted with a good quality 41-stepped series attenuator from Acoustic Dimension. I needed to create extra space for the SATS by rearranging components since it is bigger, it is ladder type and has 4 decks more. 41 stepper (old style) and SATS size comparison. Always hard to talk about money well spend because that depends on budget. That being said, the SATS is definitely in another league than the 41-stepper. It pinpoints even better and increases podium size, especially depth. This effect makes for an almost realistic 3-D soundstage where every sound is surrounded with air, perfectly separated from other sounds. Tonal balance is very good with silky highs and very good lows, so these Skelton resistors are good.. 23 steps are sufficient but torque of the switch is a bit high, so using a big knob is a must. 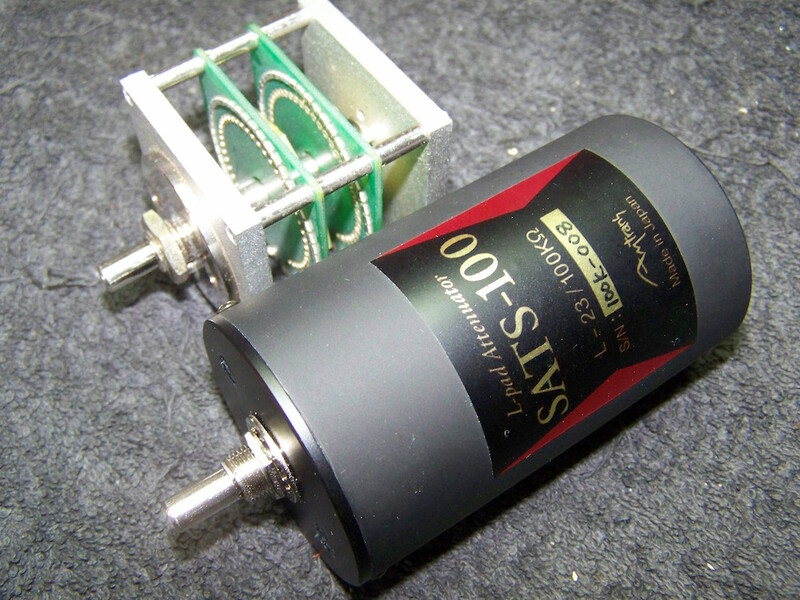 If you can spare the money, this attenuator will lift your (pre-)amplifier to a higher level. So I certainly recommend it despite its price. 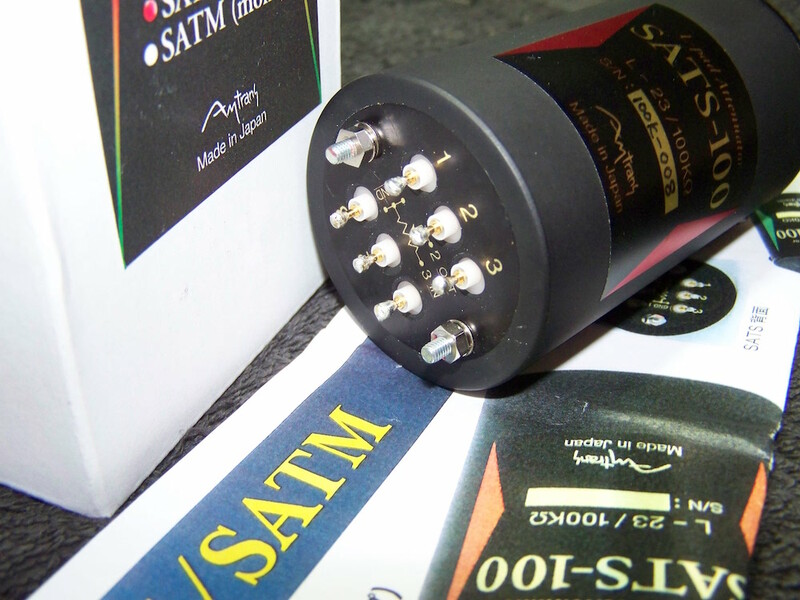 Both the Amtrans SATS and the 41-stepper are available at Acoustic Dimension.